IAQM presents Routes to Clean Air 2018, a two-day annual conference where air quality, public health and transport professionals, in both the private and public sectors, share their experiences of reducing traffic emissions. Speakers will discuss a range of topical issues offering their insight into the steps required to improve air quality, including best practice examples and practical challenges faced during implementation. Delegates will gain valuable CPD, have the opportunity to network with fellow air quality professionals and interact with leading organisations in the air quality sector. 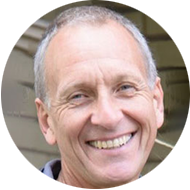 Gary is a Senior Lecturer in Air Pollution Measurement at King’s College London. Having led the development of the London Air Quality Network, now the largest urban network in Europe, Gary has pursued network data analysis techniques to characterise trends and changes in urban air pollution. Much of this research is focused on the source apportionment of PM10 concentrations to quantify the impacts of PM not well-represented in emissions inventories, including construction activity, waste management and more recently wood burning. Through close working with toxicologists, clinicians and epidemiologists, Dr Fuller promotes the best use of air pollution measurements in health studies, working towards a better characterisation of pollutant exposure. Public engagement is an important part of the work at King’s. As well as leading the London Air Quality Network websites and apps, Dr Fuller also writes the fortnightly Pollution Watch in the Guardian newspaper and hopes to be publishing a book on air pollution late 2018. He is also a member of Defra’s Air Quality Expert Group. Nick founded Emissions Analytics in 2011 in order to understand real-world fuel economy and emissions from vehicles. The concept was to find a way to characterise vehicles in a relatively short test, and be able to conduct a large number of comparable tests. The solution was to use Portable Emissions Measurement Systems to source real on-road raw data efficiently across many vehicles. This database is now a platform for analysing and modelling this data, from which the EQUA Index was created, which is used and published in the UK, across Europe and the USA. In addition, Emissions Analytics conducts extensive custom testing programmes of heavy and light duty commercial and off-road vehicles. 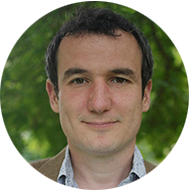 Nick is a specialist in data analytics, particularly in the automotive market, through his prior work at Oxford Indices Ltd, a data specialist, United Business plc and Haymarket Media Group. He is a graduate of the University of Oxford, with an MA in Philosophy, Politics and Economics. Mark attended Edinburgh and Cambridge universities for Bachelors and PhD degrees in engineering. Following a brief spell at Ricardo, he joined Cambustion where he has been a Director of the Products Division since 1998. He aids technical support and develops new techniques for using their fast response emissions analyser products which currently involves on-board fast RDE measurements for the purpose of mapping urban air pollution hotspots from vehicle emissions. He also publishes technical papers involving the application of this equipment to combustion and emissions control systems. 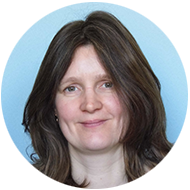 Jenny received her PhD from the University of Manchester in Applied Mathematics and has worked at Cambridge Environmental Research Consultants (CERC) since 2000, where she is now a Principal Consultant. Jenny manages CERC’s contribution to a range of UK and international research projects in which CERC’s ADMS model is applied; these projects often lead to model developments such as the advanced street canyon model in ADMS-Urban and the system that couples ADMS to regional scale chemical transport models. 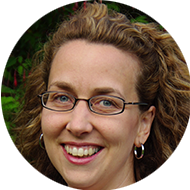 Jenny has extensive practical experience of running the ADMS models in addition to expertise in emissions inventory and has led the development of CERC’s urban heat island model. 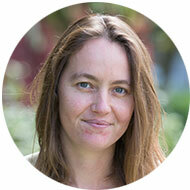 Jenny has presented at many conferences and has published scientific papers in leading journals. Nick is a Distinguished Professor of Atmospheric Chemistry at Lancaster University. His work on interactions between the biosphere and the atmosphere have spanned scales from the leaf to the globe and have involved both measurements and modelling. He has a particular interest in providing scientific understanding that can be used to underpin rational public policies. Susan is a Senior Specialist for Air Pollution and Ecotoxicology at Natural England, the government’s adviser for the natural environment. Natural England helps protect England’s nature and landscapes for people to enjoy and the ecosystem services that clean environments, resilient habitats and wildlife provide. As a Chartered Environmentalist in the Institute for Environmental Management and Assessment, Susan has experience advising on risks from atmospheric pollutants, toxic substances, contaminated land and groundwater protection. Susan works with UK devolved Administrations, Countryside Conservation Agencies, local authorities and environmental professionals to share best available evidence on air pollution assessment involving protected habitat and wildlife. Firewood Standards: A Contradiction in Terms? Jack edits Air Quality Bulletin, a monthly newsletter covering news in a challenging and informative way. Trained graduated as a civil engineer working for British Rail for a few years laying track and building bridges and can admit to being responsible for the truly hideous Selhurst Train Depot in South London. An abrupt career switch to journalism saw him covering sectors such as transport, planning, Oil and Gas, engineering, defence, trucking and most latterly air quality and noise. In an era of free news – much of which is scraped from google searches – Jack passionately believes there remains a role for good old-fashioned print journalism where independent journalists can ask awkward questions where others may fear to tread. After years of austerity, deregulation and foot-dragging, money is now being thrown at air quality and vehicles really do look like they have cleaned up their act. All this panic-spending on solving pollution – what could possibly go wrong? 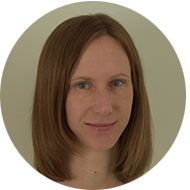 Rebecca works as a consultant in the Ricardo Energy and Environment air quality team where she has gained a broad knowledge of emission inventories, air quality monitoring and modelling, and air quality policy. She has worked on a range of projects to assess air quality at a regional, national and local scale. Recent interests have focussed on understanding real-world vehicle emissions using vehicle emissions remote sensing. Rebecca is interested in how information from these measurements can be incorporated into air quality modelling and assessment to inform local transport policy. Esfandiar is a lecturer in building performance at UCL Institute for Environmental Design and Engineering. He has been involved in building performance evaluation of several buildings in residential and non-domestic sectors with special focus on the balance between energy efficiency and indoor air quality. 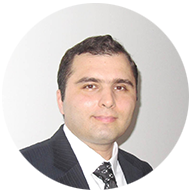 Esfand is a registered Low Carbon Consultant and Low Carbon Energy Assessor with the Chartered Institution of Building Services Engineers (CIBSE), and a Certified Energy Manager (CEM) with the Association of Energy Engineers (AEE). 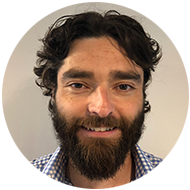 His professional and academic interests include sustainable building services design, building performance evaluations, air quality in low energy buildings, and CFD analysis. 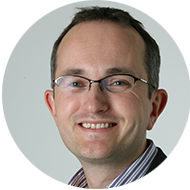 Chris is the Director of Sustainability at Hilson Moran, a multidisciplinary engineering consultancy specialising in the built environment. He has over 25 years’ experience as a sustainability and environmental consultant, 16 of which have been spent with Hilson Moran. 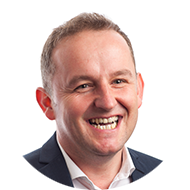 During this time, Chris has worked with clients such as Google, Great Portland Estates, Hammerson, Wells Fargo, Bank of New York Mellon, Bloomberg and Lendlease in the UK and internationally. Chris has helped these clients improve the performance of their property portfolio in terms of sustainability and wellbeing of their employees and tenants. Chris and his team are working on seven WELL projects at present and have recently achieved WELL Gold certified for their own Manchester studio. This was the third WELL certified office in the UK and the first outside of London. 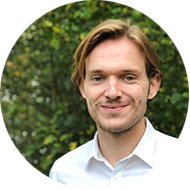 Chris’ talk will include an overview of the WELL standard and focus on the indoor air quality aspect and results of our continuous air quality monitoring programme. Jo has 14 years’ experience working in air quality management, policy and practice at a local, national, European and international level. 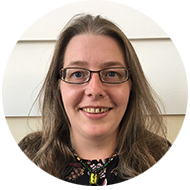 Since 2008, she has been employed in the Air Quality Management Resource Centre at the University of the West of England, Bristol, where she has also completed her PhD researching the effectiveness of Local Air Quality Management. In this role, she has worked with, and on behalf of, numerous local authorities, Defra and the Devolved Administrations of Scotland, Wales, Northern Ireland and Greater London, other Member States and the European Commission to implement and develop air quality management policies and practices. Jo’s main research interests are in urban air pollution, particularly from road traffic, helping to understand and raise awareness of the health impacts and environmental justice issues relating to local air pollution, in order to shape and influence policies to improve air quality in towns and cities globally. Douglas, a University College London graduate, launched NAQTS with the intention of making high-quality air pollution monitoring technology available to everyone, in order to: raise general public awareness of the health issues associated with indoor air pollution, assist the public in improving their indoor air quality, and provide scientific data for policy advancement. Douglas specialises in the development of air quality monitors, integrating the latest developments in low-cost sensor technologies with other regulatory grade measurement techniques. Driven by the pursuit of social justice, Douglas is also currently enrolled in a part-time PhD at Lancaster University investigating indoor-outdoor air pollution and environmental justice: air pollution does not stop at the front door, and it is often the most vulnerable populations that are disproportionately exposed to higher concentrations. Dr Ian is a senior lecturer at the School of Population Health and Environmental Sciences at King’s College London and a member of the MRC-PHE Centre for Environment and Health; MRC & Asthma UK Centre in Allergic Mechanisms of Asthma and NIHR-PHE Health Protection Research Unit in Health Impact of Environmental Hazards. He has over 20 years of experience researching the impacts of air pollution on human health and in the development of assays to quantify the toxicity of the chemical cocktails that pollute the air we breathe. Over this period Ian has published over 100 research papers, reports and book chapters on these topics, as well as providing advice to local, national and international government and NGOs. 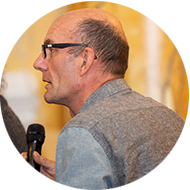 Ian is passionate about the communication of science to lay audiences and has worked extensively with artists and educationalists to promote the public understanding of the risks associated with environmental pollutants. 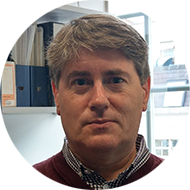 Currently, his work is focused on understanding early life impacts of pollutants on the development of the lung and cognitive function in children living within urban populations. Stephen is Senior Policy and Program Officer in the Air Quality team working for the Mayor of London. His primary areas of work are with non-road pollution emissions, including buildings, energy generation, river and rail emissions, wood burning and industry. Before working for the Mayor of London Stephen had ten years’ experience in Air Quality and worked for a number of London Boroughs as well the Environmental Research Group at Kings College London, covering the regulation of industrial emissions as well as local air quality management and planning. Stephen holds a Masters Degree from Imperial College London in Environmental Diagnosis. Public Concern About Air Quality: The Key to Pro-Social Mobility Behaviour? Jillian is Professor of Transport and Energy at the Institute for Transport Studies, University of Leeds. Her research addresses the potential for demand-side solutions to reduce carbon and energy from transport. Broadly, her current research direction investigates ‘the future of the car’ – bringing together socio-technical developments including electrification, new mobility services and the psychology of car owning and driving to explore the concept of ‘car usership’ to assess the potential impact of these on the energy system. She has led large interdisciplinary research teams and projects mainly funded by UK Research Councils (RCUK), the Energy Technologies Institute, the UK Department for Transport, Scottish Government and the European Union. She has sat on a number of advisory boards and strategy panels for UK Government Departments, the Climate Change Committee, US Dept. of Energy, HoL Science and Tech Committee, RCUK and NGOs, including currently acting as Chair to the Research and Evidence Group for the Scottish National Transport Strategy Review. Francis is a professor of atmospheric science at the University of Birmingham. He is an expert on the causes and effects of atmospheric pollution. He recently held a Birmingham Fellowship which allow outstanding, high potential researchers to establish world-leading research groups. His group work on a range of problems associated with atmospheric science and environmental health. He works on air quality issues worldwide from Birmingham’s clean air zone to dust pollution in Ethiopia. Francis has provided policy directed research for the Department for International Development, Department for Environment, Food and Rural Affairs, Transport Scotland, and the Department for Transport. Furthermore, he is an editor for the prominent ‘Atmospheric Measurement Techniques’ journal and a convener for the largest European environmental conference (EGU) which attracts over 15,000 delegates. 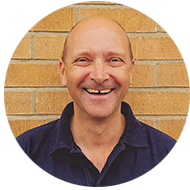 Peter has worked for 37 years in the air movement industry the majority in air filtration, mainly with Camfil Ltd. Latterly he has worked in a technical and educational role. He has assisted in drafting the new Clean Air Bill now progressing through parliament. He is passionate that the UK building services industry has the best guidance and air cleaning solutions. He participated in the Department of Education working group to draft the new BB101 Schools design bulletin 2017. 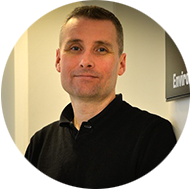 Peter is a CIBSE accredited CPD presenter and gives consulting engineers training on Air Filtration solutions, Indoor Air Quality and Energy efficient clean air in buildings. Sitting on a number of technical committees ISO, CEN and BSI that draft standards covering issues such as building and cleanroom energy use, indoor air quality and air filter testing. He works with many sectors of industry including, Hospital and healthcare, Pharmaceutical, Food and Beverage, Datacenters, Energy including Nuclear. Clear Air Zones – What are Local Authorities Proposing? Nigel has over 15 years’ experience in the field of air quality. He has worked closely with government and industry on a wide range of air quality issues and policy development. 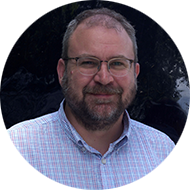 Having been embedded within Transport for Greater Manchester, Highways England, SEPA as well as industry, he has experience of the impacts of air quality from a diverse range of perspectives. 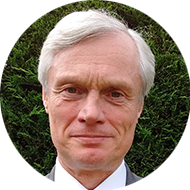 Nigel is one of the leading experts in Clean Air Zone (CAZ) assessment work, and is currently the technical lead for both Birmingham City Council and the Greater Manchester studies. This involves the design and coordination of transport, emissions and air quality modelling processes to enable assessment packages of measures covering a wide range of interventions, and their in-combination effects. The first day of the conference closes with a 3-course conference dinner, included in the price of your ticket. The winner of the Ian McCrae award, presented to an Early Career Professional, is awarded at the dinner. Cambridge Environmental Research Consultants (CERC) is a leading provider of expert air quality services. GASTAR for modelling the dispersion of dense gas releases. CERC provides a number of scheduled and customised training courses for all the ADMS models to suit modellers with varying levels of experience, as well as a comprehensive software support package. CERC’s highly experienced Consultants provide a range of services, including: air quality modelling for permitting, planning and policy scenarios; emissions inventory compilation for both toxic pollutants and greenhouse gases; and modelling of hazardous releases, for example for COMAH assessments. CERC also provides air quality forecasting and alert services for local authorities, including airTEXT in the UK (www.airtext.info) and Riga airTEXT in Latvia (www.rigaairtext.lv), using ADMS-Urban in combination with the EU’s CAMS regional modelling system. Bespoke air quality forecasting and alert services are also available. For more details of CERC’s services or to download demonstration software visit www.cerc.co.uk. Air Monitors is a leading supplier of air quality monitoring instrumentation with a reputation for innovation. Our product portfolio includes a range of lower cost, portable devices for monitoring gases and particles as well as a fully certified optical particle monitor that has the lowest cost of ownership in its class. We offer completely integrated solutions for meteorological monitoring, gases and particles. Cambustion’s fast-response gas and particulate analyzers enable engineers worldwide to understand transient engine operating conditions and meet emissions targets. Recent developments allow the equipment to operate on-board vehicles for Real World Driving Emissions work providing engineers with engine-out and tailpipe data in real time, correlated with GPS and ECU data with virtually no time delay and full temporal resolution. Cambustion’s Filter Test System tests GPFs & DPF’s from light to heavy duty, offering cost-effective testing and development including ashing studies without costly powertrain facilities. Visit our website for a list of third-party technical papers using Cambustion products. ION Science manufacture and supply a range of technologically advanced photoionisation detection (PID) sensors. ION patented PID sensor technology is proven to resist humidity and contamination, giving you outstanding results when detecting volatile organic compounds (VOCs) within the most challenging environments. GRAMM is the UK leading specialist in the design, supply & installation of environmental acoustic barriers with over 20 years of experience. We have constructed 1,000’s of Km’s of acoustic barriers of all types of materials throughout UK & Europe. GRAMM is the exclusive UK partner for SmogStop. GRAMM SmogStop Barrier reduces air & noise pollution levels in surrounding neighbourhoods, and takes a two-pronged approach to reducing air pollution from major roads, highways and railways. The patented aerodynamic design reduces pollution levels by enhancing dispersion so that neighbouring residents can breathe easier. At the same time, a proprietary coating on the barrier actually breaks down the NOx and VOCs that produce smog, transforming them into harmless by-products. GRAMM SmogStop Barrier’s angled baffle and double-walled design serve two main purposes. First, they direct traffic emissions between the two walls, where a photo catalytic coating treats the pollutants. Second, they generate vortexes and enhance vertical mixing of emissions with clean air, further decreasing pollution levels in surrounding neighbourhoods. The proprietary coating we’ve developed transforms smog-producing NOX and VOCs into harmless gases and water, powered purely by sunlight. RAMM SmogStop Barrier incorporates ClearSoundBlok: a sound-reducing, break-resistant and highly transparent grade of plastic. The result? A dramatic reduction in noise and air pollution — without sacrificing sunlight. Over a year, a single kilometre of GRAMM SmogStop Barrier can remove 16 tonnes of NOX— the equivalent of taking 200,000 cars off that stretch of road. TSI has been a world-leading manufacturer of precision measuring instruments for more than 50 years. We are setting the standards for measurements related to environmental monitoring, oﬀering a full suite of instruments for real-time and air quality sampling. Researchers trust the TSI SMPSs and CPCs for sub-micrometer particle research and monitoring. For environmental monitoring, thousands of people use TSI’s trusted DustTrak™ products and IAQ probes. Developed using the DustTrak technology, TSI’s MCERTS certiﬁed DustTrak™ Environmental Monitor oﬀers a rugged solution for short-term or long-term outdoor surveys and remote monitoring applications. It measures particle mass concentrations corresponding to PM1, PM2.5, PM10 and total size fractions. For measurements below PM2.5 TSI oﬀers real-time mass size distribution measurements with its new Quartz Crystal Microbalance Impactor (QCM MOUDI™). Our European service department in High Wycombe ensures that our customers’ instruments are calibrated and serviced according to manufacturer’s standards in the shortest turnaround time. Routes to Clean Air attracts consultants, transport professionals, local authorities and regulators, providing an excellent opportunity for organisations to interact with their target audience of experts and buyers. This conference is a platform for expert practitioners to share knowledge, therefore there are a limited number of spaces for exhibitors. We aim to provide events, conferences and workshops which are accessible to all. If you anticipate needing any type of assistance to fully participate in this event, please email Rhianna Jarvis at rhianna@the-ies.org or call +44 (0)20 7601 1920 to discuss this further. Don’t subscribe to this if you are an IAQM member, as you will already receive these emails as part of your membership.